You’ve made the decision to put your house on the market, and now you’re facing the realization that your decision to go solar two years ago might hinder the sale of your home. Now is the time to work with both your real estate agent and solar company to determine your next step and what options you (and the buyer) have. Some solar companies have representatives that work only with lease transfers and they will be able to assist you in the process of selling your home. When you initially contacted your solar company, you were likely advised that going solar would increase the value of your home. Depending on the company and method you chose, this may or may not be the case. Some buyers look at an existing system as being environmentally friendly and a money saving benefit. There are others that will be concerned with long-term maintenance, possible roof repairs, acquiring a lengthy lease (usually between 20-30 years), or the chance the technology will become obsolete. Since you already made the decision to lease your panels, hopefully you did your due diligence and researched the options you would have available if you decided to sell and how the company will address those concerns. 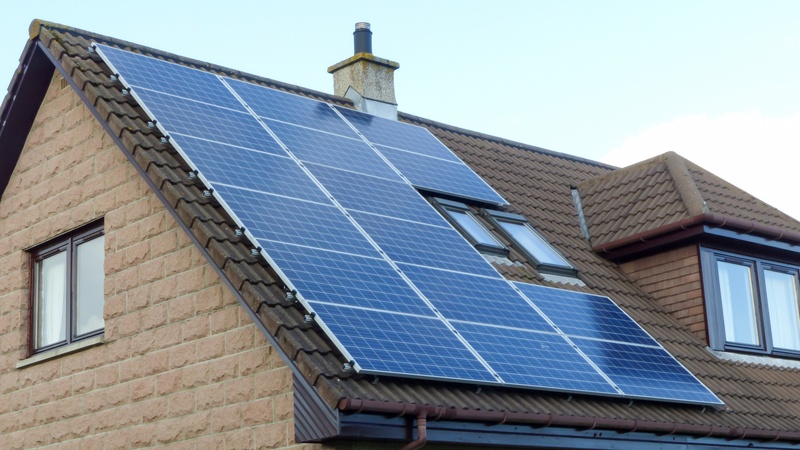 Usually when you lease solar panels, you will have two options upon selling your property. You have the option to buy out the remainder of the lease. If you buy out your lease, you would have the option to have the panels removed or keep them and sell the system with your property. Keep in mind that if you have only had your system for a few years, the buyout can be very pricey. Transfer the lease to the new homeowner. In this case, the buyer would have to agree to take over the lease. The simplicity of this option depends on the company you chose to install your solar panels and their regulations. Some solar companies will have the new owner go through a credit process to qualify to take over the lease, some charge a one-time fee for the lease transfer, and other companies will simply require the buyer to e-sign forms online to ensure you are willing to transfer the lease over to them. This last scenario is obviously the easiest for both buyer and seller, as there are minimal or no costs to the buyer and they will automatically see the benefits of having the system in place. In many cases, if the buyer qualifies to purchase your home, they will automatically qualify to take over the solar agreement and it turns out to be no more difficult than signing up for utilities for your new home. However, be prepared for resistance from a perspective buyer especially if they are unfamiliar with solar energy. Be upfront regarding your experience and have them contact the solar company with any questions or concerns before entering into an agreement to purchase your property.